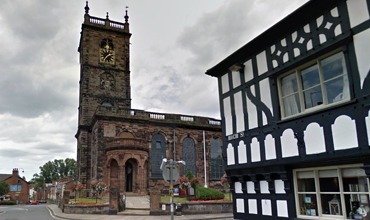 The market town of Whitchurch in Shropshire has to be one of the nicest places to learn to drive in our opinion. We have been delivering quality instruction in the Whitchurch area for many years and pride ourselves on our excellent local reputation. The prospect of learning to drive can be quite unnerving, but don’t worry as all our instructors are calm, professional and trained to deal with all aspects covered in the recommended syllabus supplied by the Driving and Vehicle Standards Agency. They have all been through the Nigel Richards Instructor Training programme and are fully aware of the latest driver coaching skills and the standard needed to pass todays driving test. What ever your reason for deciding to learn to drive we can help. From escaping cold bus stops and public transport to giving your children a better life or gaining your teenage independence our instructors will help you achieve your dream in the safest and fastest way possible. You will be safe at all times as all our cars are fitted with dual controls to enable out instructors to take over control of the vehicle swiftly and at any time. Your lessons will start maybe on the Waymills Industrial Estate or one of the quieter roads towards the villages of Bronington or Hanmer. This will help you gain confidence in the control of the car with the minimum of traffic around you. As your skills and confidence develop your instructor will move you into the Whitchurch nursery routes around the Chemistry, Queensway and Kingsway areas. Then as and when ready out onto the ring road and down the one mile of A41 dual carriageway towards Prees and Tilstock. The parking exercise are carried out often in Sainsburys Supermarket carpark, Press Doctors surgery or Homebase carparks. There is no carpark at the test centre therefore no manoeuvres are carried out there just the show me/tell me questions. The driving test is situated next to the Dorrington Hotel at 31 The Lodge, Paul Moss, Whitchurch, Shropshire, SY13 1EN. As stated earlier there is no carpark there so all tests start off from the road outside the test centre and finish back again stopping on road. There is a toilet at the centre within the waiting room. Our fully trained, calm, patient driving instructors are ready to help you achieve your driving goals and get you independent, and there’s no nicer place than Whitchurch.